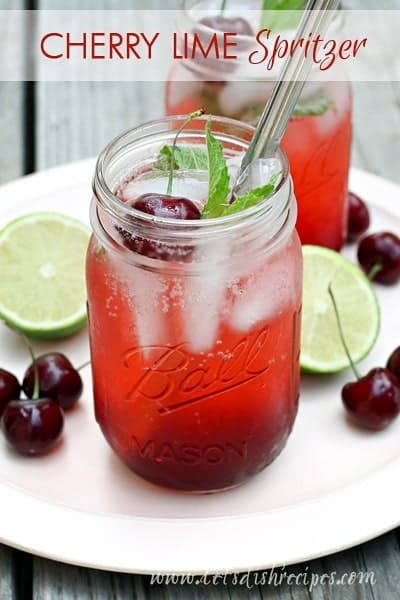 CRANBERRY APPLE RED HOTS CIDER — Red Hots candies give this cranberry cider a burst of cinnamon flavor. I love keeping a pot of warm cider simmering in the slow cooker on Christmas Eve. 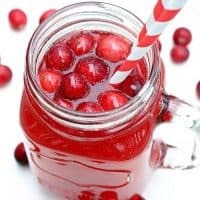 I’ve tried all kinds of different recipes over the years, and this easy Cranberry Apple Red Hots Cider is my family’s favorite. The secret is Red Hots candies. 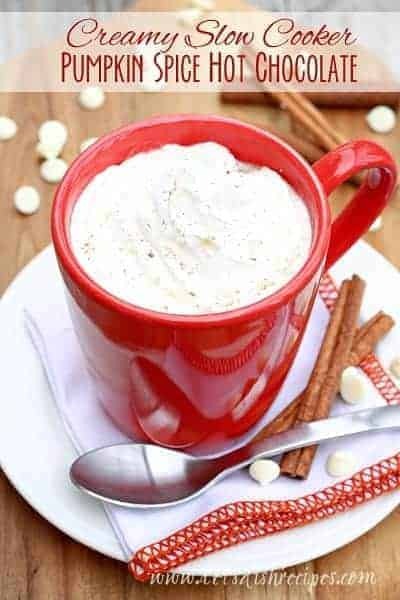 Not only do they add great hot cinnamon flavor, but they give this drink a beautiful red color that makes it perfect for the holidays. If you’re worried about too much cinnamon flavor, you can always cut back on the red hots, but one cup is perfect for my family. 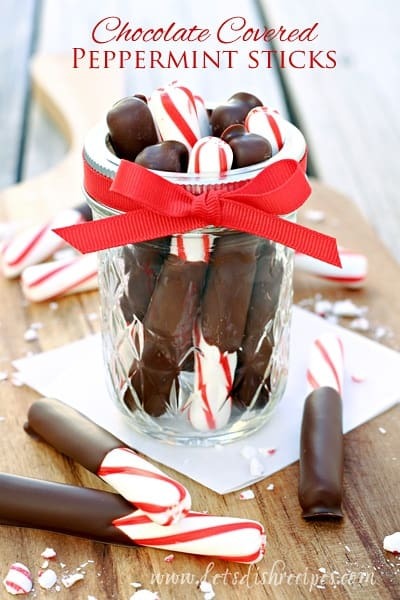 My kids absolutely love this stuff, and it’s a fun twist on the usual hot cider recipes. And the best part is, it’s so easy. Just put everything in the slow cooker and set it to low. Sometimes the Red Hots will leave a bit of residue floating on the top of your cider. If it bothers you, just skim it off with a fine mesh strainer. 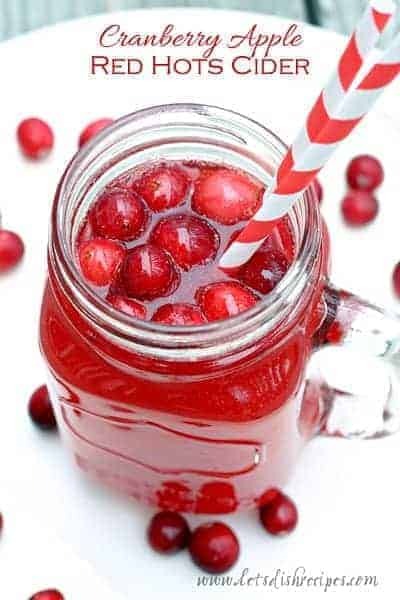 Red Hots candies give this cranberry cider a burst of cinnamon flavor. Place all ingredients in a slow cooker. Cover and cook on low for at least 2 hours, or until warmed through, stirring occasionally.